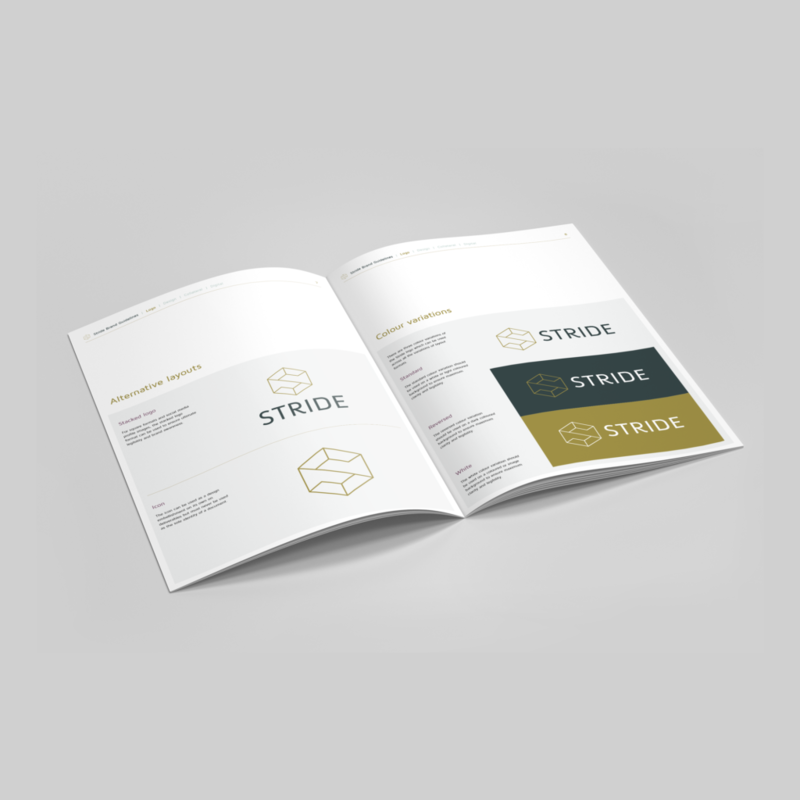 Stride is part of the international company STR Group (who we’ve also recently re-branded) and is one of their six micro-specialist staffing companies, and the third of five STR brands that we’re re-branding. Stride is a specialist recruitment company operating in the niche Infrastructure, Design, Engineering and Construction sub-markets. Having traded in the built environment for a number of years, it has established itself as industry experts. Stride has a comprehensive understanding of the market, the in-demand skills and the ability to seek out world-class talent. We met with the Stride team in February to discuss their current branding and what they wanted to portray and achieve with the new brand. 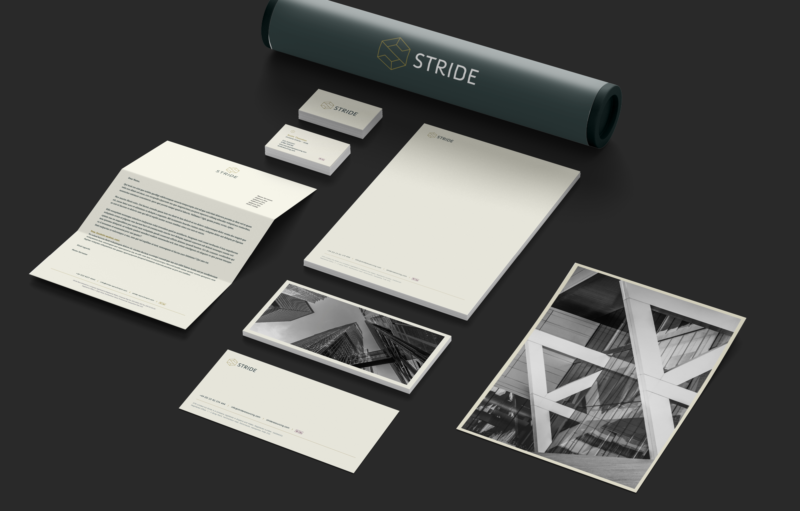 Specialising in architecture, Stride wanted a new brand to appeal to creative, high-end candidates for prestigious and elite companies. We were asked to create something that was classy yet contemporary, and to consider the aesthetics of projects seen on Grand Designs and in London architecture. Wanting to be perceived as a marker leader with future expectations to expand abroad, the challenge was to create a logo that spoke confidence, reliability and prestige. This was an exciting challenge for our designers, and the result is a clever icon based logo, playing with the concept of perspective and illusion. We started sketching ideas using a wireframe cube to reinforce the link to architecture and blueprints and began playing around with ideas of how to subtly include the company initial ‘S’ into the design. Opting for a primary colour palette of gold and charcoal, we wanted to further push the high-end feel. This is then balanced with a rich and opulent supporting colour palette which can be used to distinguish between different market areas. Stride wanted the font choice to be slightly more ornate to balance out the angular design of the icon. Not only have we created the new logo, we have also produced all related stationery and a brand guidelines document to ensure the brand remains consistent. If you like this brand, check out our brand design for Navis Consulting, another one of the five STR brands that we’ve re-branded.